Sometimes, I just want a nice, simple color to complete my look. Below (with swatches) are the nail colors I love to cycle through during this crazy Eastern seaboard weather change. This is a great dark red. 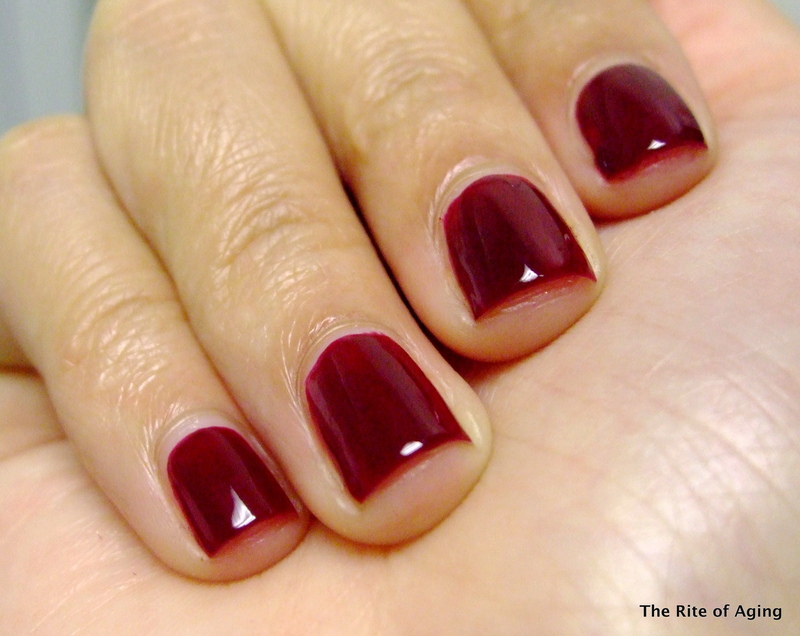 The formula is neither thin nor runny, however, when I apply it to the nail it streaks. Luckily, it dries to an even jelly finish. I do not mind adding coats for full opacity. What I dislike about this polish is that even after three coats I have to “spot-treat” bald areas. The silver lining of this is that even when adding to those extra spots, the polish dries evenly. Unfortunately, the polish remains sheer around the cuticles where I cannot perfectly overlap each coat. 3 coats. No top coat. 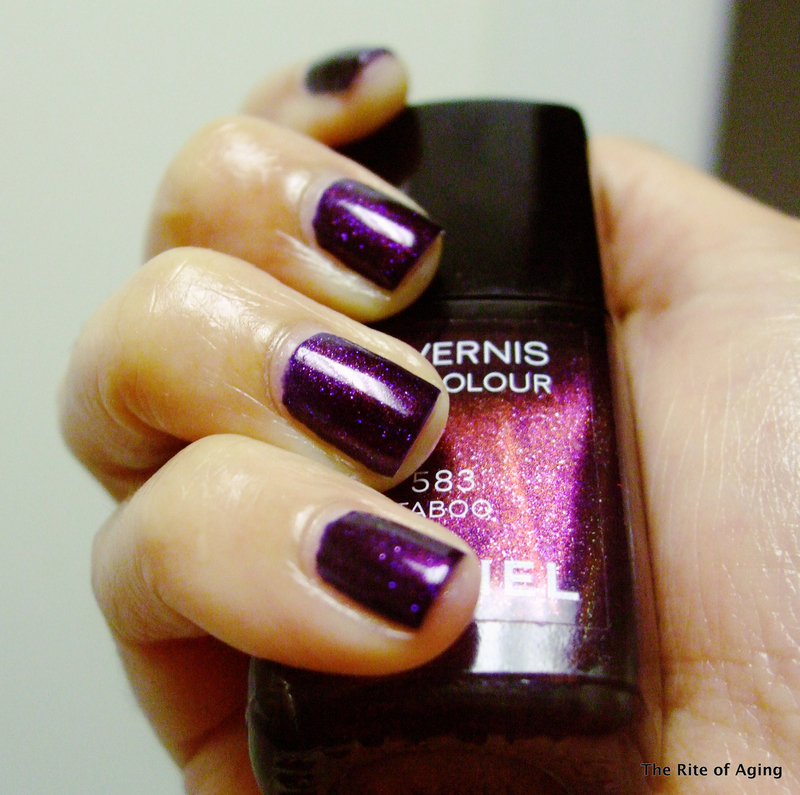 This is a highly pigmented deep royal purple with red, purple and gold shimmer. 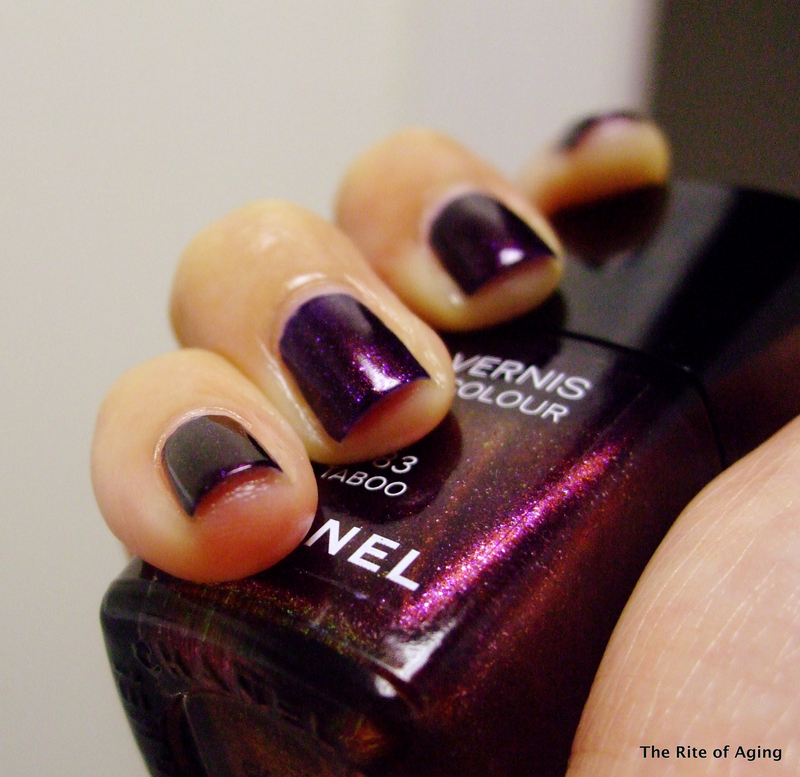 In the bottle it appears purple with red shimmer or red with gold shimmer. Unfortunately, the red and gold combination does not transfer to the nail. 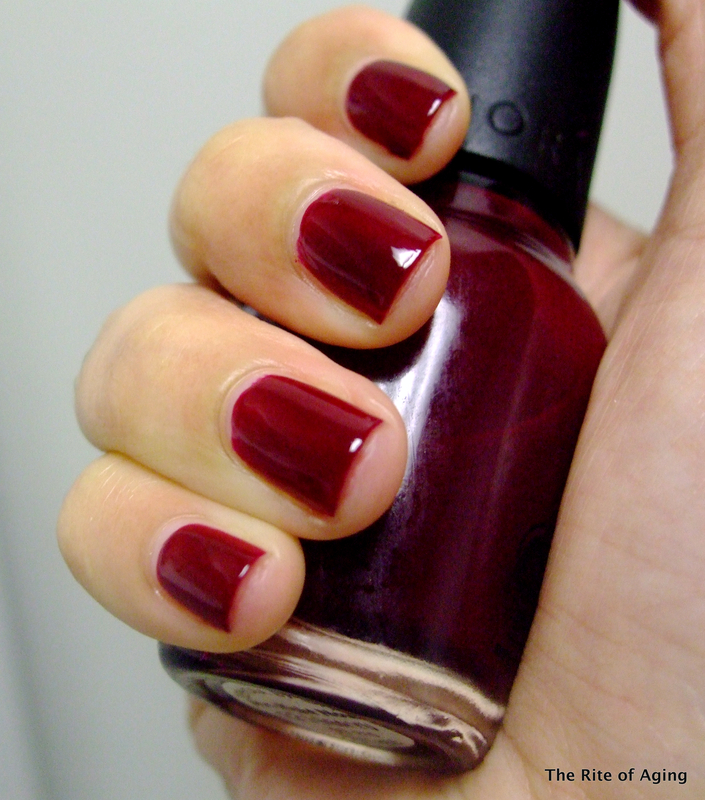 It does not dry very quickly and if the color bleeds onto the nail sans base coat it stains. I only need one coat and it is unnecessary to apply more! It was extremely difficult to photograph but I wanted to show the difference between the nail and bottle. 1 coat. No top coat. I love grey for fall. It is completely neutral and goes with every color. Metro Chic is not a true grey. It has a purple tinge to it and the warm tone works well with darker skin tones. The formula is not great. It is not runny but I need at least 3 coats to reach full opacity. Even then there are bald spots. Unlike Mr. Right Now, I have to apply one full coat to the entire nail, otherwise, it dries patchily. Even though I adore grey for fall, I find it boring on my nails. The accent nail is Pretty Jelly “Dream Cloud” (a great silver holographic polish). 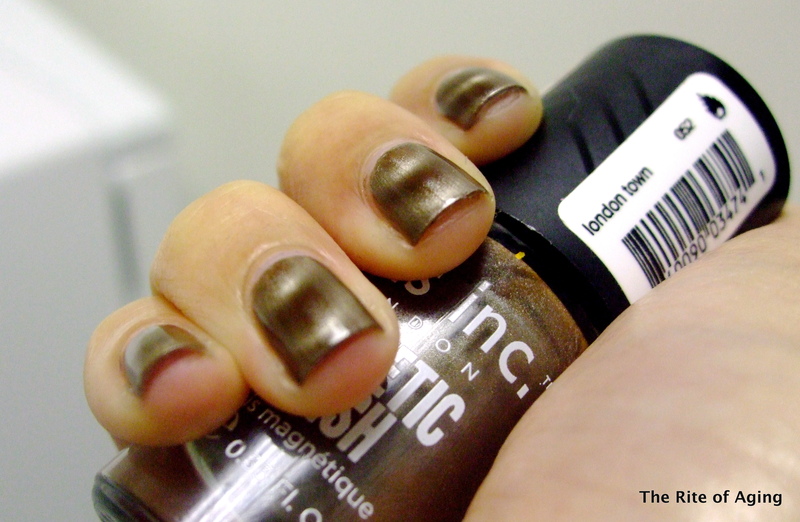 Before the magnet the polish appears as a high-shine frosty brown. After the magnet, the brown is clear and deep. This is my funny polish. It always gets lost in my polish hoard but whenever I dig it out, I absolutely love it on my nails. Yet, I continue to forget it. The formula is nice and thick. It is not goopy and applies evenly and without streaks. I apply two coats then use the magnet while the second coat is still wet. 2 coats. No top coat. The pinky shows the polish without magnetization. For the colder days, I brighten my manicure. During the seasonal change, I enjoy bright orange. 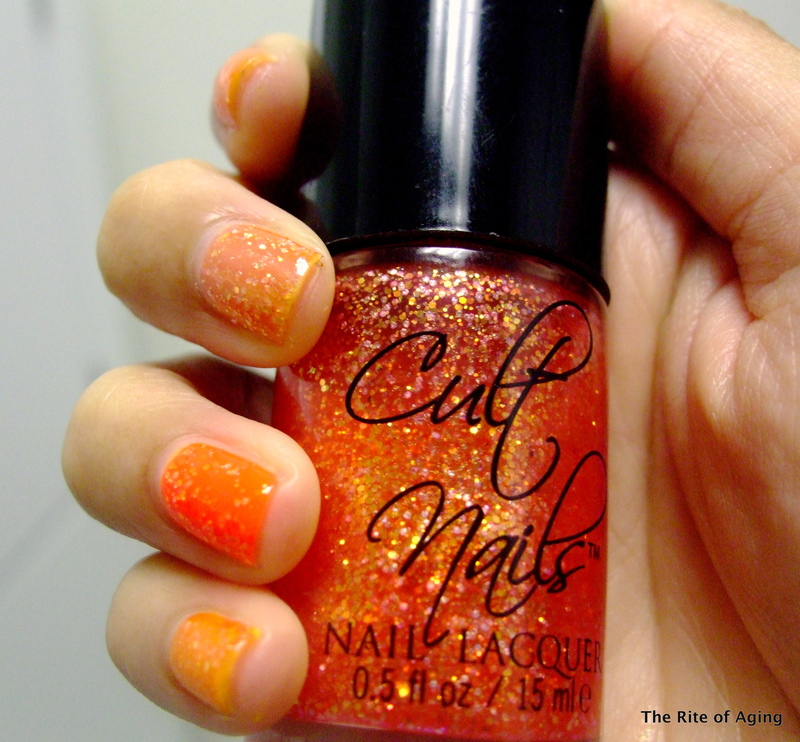 The base is coral-orange and the glitters are orange and gold. 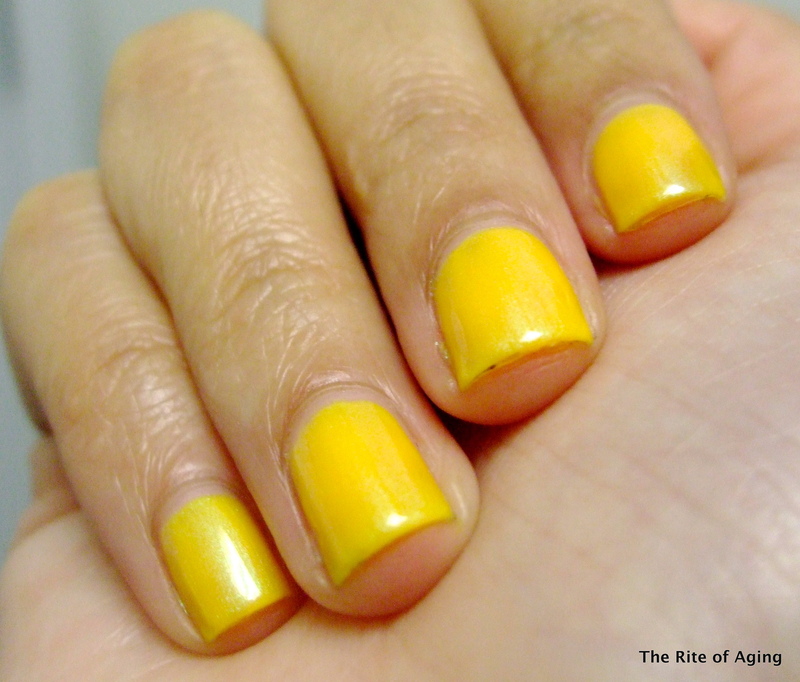 The color is a lot brighter in the bottle than on the nail but it is still very pretty. The formula is chunky because of the glitter. It dries evenly and quickly. Top coat is needed to smooth the coats out. I layered this over 3 coats of Urban Outfitters “Banana Hammock” and Color Club “Wham! Pow!”. 3 coats of Banana Hammock, 1 coat of Wham! Pow!, 2 coats of Captivated. No top coat. I am not sure why each nail came out differently but I really like the look.